I Started playing music at the age of 10 on my uncles sound system 'Sunny Sunrise' back in Grenada . I Deejay in the Sound along with my brother and other family members and artist such as the late Scooby Santino. 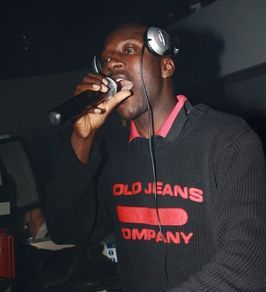 I then left and went to One love sound for a few years where I began starting being a selector on a more serious scale. Here I gained lots of experience and felt it was time to leave and start my own sound system. In 1996 I left One love and started my own sound with my cousin Rufus which is known as Killer Contrast. I have been a radio dj for a long while and I first got my big break on a radio staion called Cruise FM which was owned by the late Dj Village, on their I played along side Desi D.
From here I then went onto Beat Fm and Lightning Fm where I began hosting my very own show.